A monthly tarot reading with matching beauty suggestions! Happy Spring! 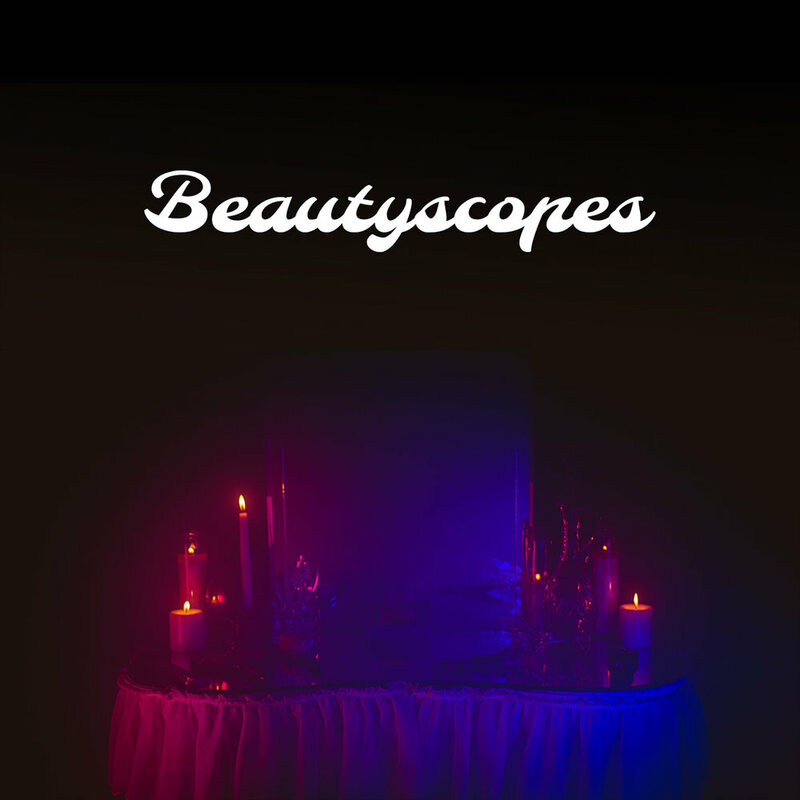 Katie has teamed up with Tarot Reader, Laurel Flynn to bring you April's Beautyscopes! Read on below to see yours! A perfect time for opportunity! Whatever creative ideas you’ve had floating around your head space this last year, Aries, this month is the time to take action! Begin bringing those lovely thoughts within your mind down onto paper, and then take steps forward in making it a reality. And yes, Aries, it is possible. Happy Birthday! You may want to think differently about this true blue hued lipstick! 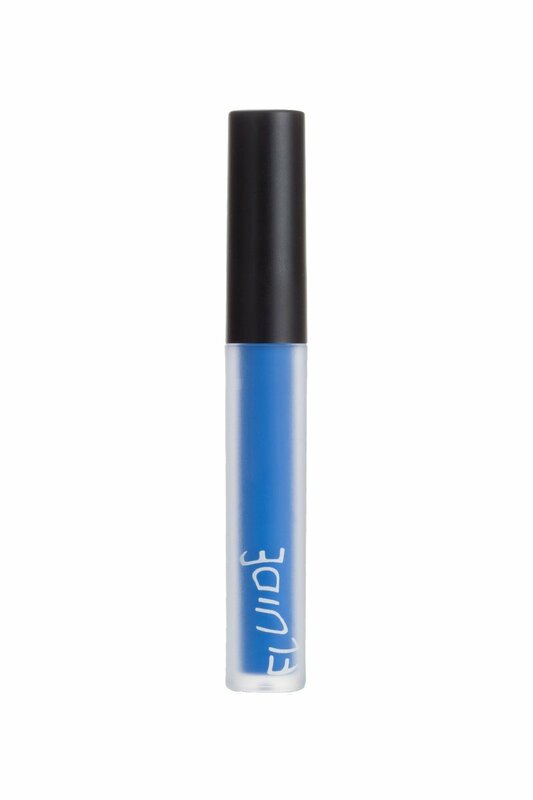 Try using it on your eyes as a bold all over color or statement liner. Get creative with shape and application! The formula glides like paint, letting you create and assert your own style. You’ve worked hard for what you have, Taurus. This month is all about enjoying the fruits of your labor. Kick back, take your foot off the gas and let yourself coast in the steady momentum you’ve created for yourself. These moments of repose allow you take inventory on your past work and gives you new momentum and strength for what’s coming up next! Forget a power red, this month try a power pink! This universally flattering vibrant shade packs a powerful pigment with a matte, long lasting finish. Vitamin E and shea butter ensure an easy application and guaranteed hydration - the kind of stability you’ll want to coast through the month ahead with an updated pop of color that won’t require much else! Allow your friends and community to support you this month, Gemini. It can be difficult and feel awkward to reach out to others for help. The idea of leaning on others for support is vulnerable, but with vulnerability comes strength. Give yourself the respect you’re owed and allow your loved ones to both witness and show up for you. The hardest part is taking the first step. Roses often evoke feelings of love and tenderness. This month, Gemini, as you yield to your softer side, be soft with yourself as well! This rose mask from Lush will not only hydrate and brighten your skin to give way to a softer appearance, but the scent of rose has also been known to fight feelings of anxiety and boost confidence. Maybe invite a friend and make a night of it! Awww, Cancer! What a sweet time for you! And a perfect way to spend the beginning of Spring! Give yourself permission to savour and enjoy life this month in its entirety. There’s no need to fret or worry over anything right now. It’s important to give as much attention to your happiness that you give to other matters in your life. “You’re never fully dressed without a smile!” Ok, maybe not for everyone, but just in case you crack a smile from all those warm and fuzzy feelings, the apples of your cheeks should be more than prepared with a quick swipe of this no fuss blush! The flexibility of this blush formula really allows you to decide how to wear it. Sheer glow or a bold flush? Up to you! Application is fail proof, meaning less time in the mirror and more time enjoying the month ahead! There is strength in softness. This month is all about you learning to reign your power in a different way than usual, Leo. Instead of you exerting a lot of energy in making sure everyone knows that you’re King/Queen of the jungle, learn to stand in your power without making a show of it. Think of the power a lion exudes in just being exactly what it is. We need not to hear it’s roar to understand its power. Sometimes looks with the most impact require less than you think, Leo! 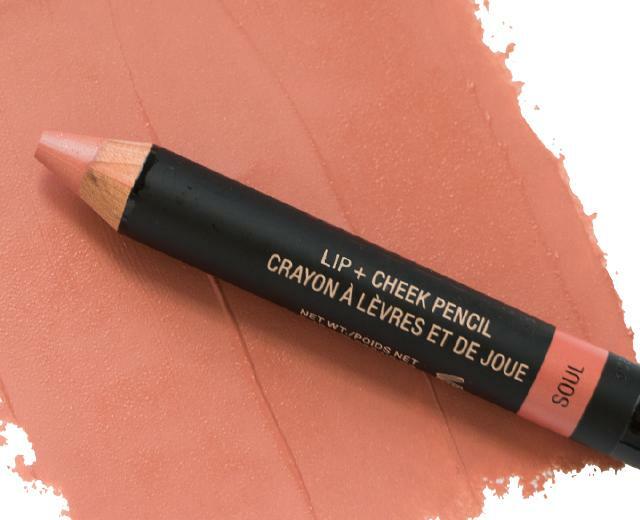 While this pencil is *technically* a combo cheek and lip product, try smudging a bit on your eyelids (fingers work fine!) and finish with the cheeks and lips for a monochromatic look that will still turn heads! This month is all about moving out of your head and into your heart, Virgo! And what a perfect time to do so as the earth begins to thaw with Spring fast approaching! You’ve had all winter to hibernate and likely overthink the hell out of everything in life! This month, let your emotions take the lead and feel your way through each day. Go exploring! Go to museums, go long walks or hikes, go to art galleries. Surround yourself with anything that allows you to FEEL. That is the perfect antidote for moving out of your head. Let go and let loose with a flexible, but certainly impactful new eyeshadow for however you’re feeling! The warm tones in this pinky red duochrome shadow are a reminder of sunnier times ahead, and are definitely more wearable than you may think at first! The liquid formula and small brush applicator make application easy and controllable: use it as a faint wash, slick metallic liner, or layered all over on the lids for the full effect! Is it possible to learn from our mistakes and life’s tough lessons without it hardening us? That is the medicine of this month for you, Libra and something to begin putting into practice. The Queen of Swords carries an immense amount of wisdom and grace, but she’s difficult to connect with and can be quite a guarded figure. Sometimes, in protecting ourselves too much from the world we end of cutting ourselves off from fantastic experiences. Begin to trust that you’ve learned the lessons of your past, and that you are not who you were yesterday and am safe to open yourself up to new experiences. While you’re opening yourself up to new experiences, Libra, keep in mind your beauty routine! Spring is the perfect time to update your makeup bag and your look! In keeping with this theme, Blossom should be a welcome addition. 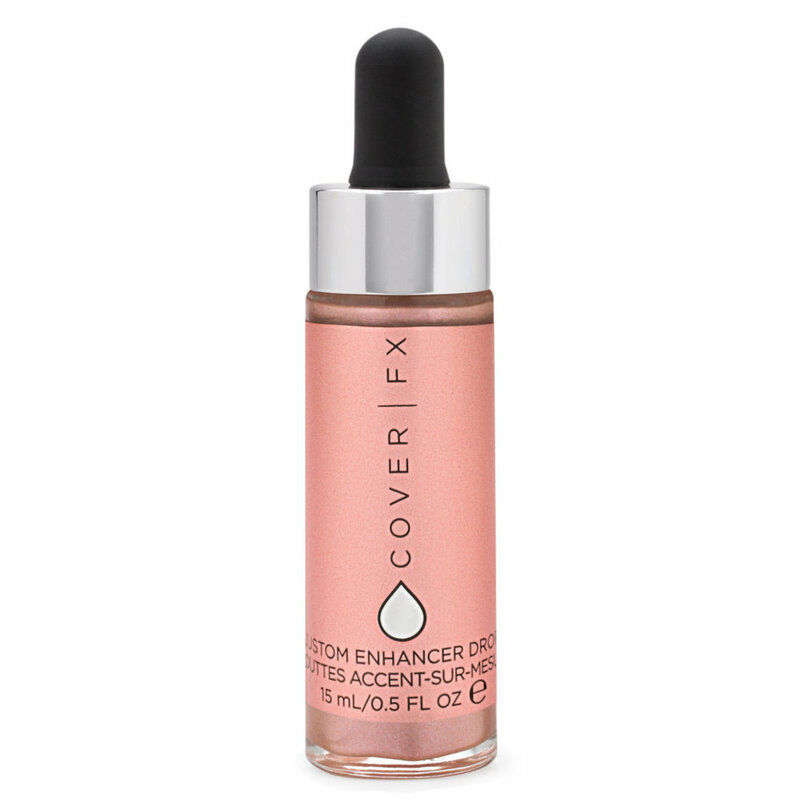 These drops blend like a dream and can be worn subtly over bare cheekbones and high points on the face, or built up to amplify your full glam looks. This is a quiet month of meditation for you, Scorpio. The last couple of months have been quite intense and it’s important in this upcoming time to give yourself space and room to breath. This month isn’t about running away from your issues, but instead is about calming your nervous system, so you can make decisions from a healthier place and fresher state of mind. Give yourself the respect and space to return to your center. Ok, so I admit this one is a bit literal: lavender to calm? Revolutionary! BUT, hear me out, this mist is the Swiss army knife of facial sprays. It’s acceptable for use on all skin types, hydrates and brightens dull skin, and bonus! Miranda Kerr, brand founder, suggests spritzing some on your pillow before bed. It may not pay your debt or run your errands, but it can nurture your skin and your mind! One step at a time, right? A new season, a new perspective. It’s time to shed some old skin this month, Sagittarius and open up to new prospects and ideas about our lives and ourselves. The more you can surrender to the changes occuring, the easier the process will be. Let go or be dragged this month. It’s your choice in how you want to experience it. Again, a bit literal, but I’m a firm believer that exfoliating your skin can solve at least 10% of your problems, or 100% of them if your problems are only skin related. In all honesty though, if you haven’t been properly exfoliating this winter, you’ll want to start before Spring is in full swing! Shed those dead layers with this gentle exfoliating cleanser. It smells like a lemon drop, and the sugar is just coarse enough to slough off dull skin before dissolving into a soft foam to lift out impurities within the pores. Follow up with your favorite serums and moisturizer, and get glowing! As the earth softens into Spring, allow that same warm devotion to wash over you as well. Be especially tender and gentle with yourself this month, Capricorn. Nurture yourself as you would a seedling, and see that with that patience and care makes way for a bud to grow from the ground. Also, take heed in giving too much of your energy to caring for others and not giving to yourself more. You can’t pour from an empty cup, so spend this month focusing on your needs. As a Capricorn, this beauty choice is *slightly* self indulgent but absolutely worth it! When I think of caring for myself, I often think of my skin and beauty routines. While that may not be you, taking a few extra minutes in the shower to indulge in a body scrub can definitely feel like a nurturing ritual! The scent is very beachy and the texture is unlike most scrubs on the market-it’s almost fluffy; the salt is very finely milled and blended seamlessly with the hydrating oils-no need to stir! Trust me on this one, fellow Caps. You’ve gone through a lot of changes over the last few months, Aquarius. All of those experiences have been gradually refining you to this exact perfect moment in time. This month is not about doing, but just being. Our brains are wired to always be working towards something to further perfect ourselves, but rarely do we get to the mountain top and allow ourselves feeling the glory of arrival. Part of that is not fully realizing and/or trusting that you’ve arrived. Take this month to integrate what you’ve been going through, and trust that the shift has happened. Squalene may sound alien, but believe it or not, it exists naturally within our skin! Not only is it a super hydrator (perfect for a water loving sign), but it also helps prevent the skin from losing hydration. It’s suited for all skin types, and can be used as a shine serum for the hair, too! Be the best version of yourself this month, Aquarius! You may be feeling nostalgic during this moment, Pisces; longing for the good ol’ days when things were bright and peachy or thinking back to much more simpler times. Spring can bring that out in us: the familiar smells, the return of warmer days. There’s a general idealization you are creating on past times, Pisces, along with a small distrust in what the immediate future will bring. More fantastic times are to be had! Don’t get wrapped up in your idealized view of days gone by. Remember them sweetly, and look at what you can do to make today a magical day for yourself. Live in the now, and pick a polish that reflects that and the world around it through its holographic flecks! Let the magic of the month start at the tips of your fingers, and allow the name of the polish to guide your thinking this Spring! Say “yes” to new experiences the days ahead will bring, and savor them sweetly, Pisces! Stay tuned for next month's Beautyscopes!